Questa nuova versione del kernel Linux porta con se numerose migliorie. 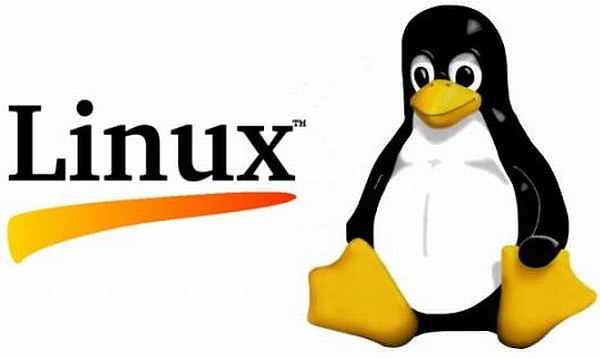 La grossa novità del Kernel Linux 3.3 è il merge con alcune porzioni di codice provenienti dal kernel di Android, lavoro che continuerà nei prossimi mesi (novità che era stata annunciata da Tim Bird lo scorso dicembre). For a long time, code from the Android project has not been merged back to the Linux repositories due to disagreement between developers from both projects. Fortunately, after several years the differences are being ironed out. Various Android subsystems and features have already been merged, and more will follow in the future. This will make things easier for everybody, including the Android mod community, or Linux distros that want to support Android programs. In Btrfs, a "balance" operation consists in a complete rewrite of the filesystem data, pushing all the rewritten data and metadata through the allocators. This operation is needed in some cases. For example if a new drive is added, a balance operation will be needed to redistribute data to the new drive. This balance operation, however, rebalanced the entire filesystem, which could take many hours, and it didn't support a change of raid profile. The balancing implementation has been completely reworked. Btrfs can now pause and resume a balance operation, and give status updates. It is also possible to restripe between different raid levels. It also lets filter the balance based on metadata/data profiles, and lets balance only mostly empty block groups. The userspace utils are available in the "parser" branch of the btrfs-progs. Btrfs has a new debugging utility, "integrity check", aimed at developers. The tool consist in a extra integrity test that for every write request checks that the filesystem is not writting to the disk bogus references that could left the file system in an inconsistent state that would cause data loss. This tool will help Btrfs developers to find bugs more easily. Open vSwitch is a software implementation of a multilayer network switch. This project has existed for years and it's now being merged in the main tree. Linux already has a virtual switch (the Linux bridge), but Open vSwitch is designed for more complex scenearios, and specially to be used as a vswitch in virtualized server environments (read the document "Why Open vSwitch?" Open vSwitch supports standard management interfaces (e.g. sFlow, Netflow, RSPAN, CLI), and is open to programmatic extension and control using Openflow and the OVSDB management protocol, and it is designed to be compatible with modern switching chipsets. See openvswitch.org for more information and userspace utilities. "Bufferbloat" is a term used to describe the latency and throughput problems caused by excessive buffering trough the several elements of a network connection. Some tools are being developed to help to alleviate these problems, and this feature is one of them. Byte queue limits are a configurable limit of packet data that can be put in the transmission queue of a network device. As a result one can tune things such that high priority packets get serviced with a reasonable amount of latency whilst not subjecting the hardware queue to emptying when data is available to send. Configuration of the queue limits is in the tx-<n> sysfs directory for the queue under the byte_queue_limits directory. This patch introduces memory pressure controls for the tcp protocol which allows to put limits to the size of the buffers used by the TCP code. This release supports a new online resizing ioctl. The new resizing lets kernel do all work, like allocating bitmaps and inode tables, it can support flex_bg and BLOCK_UNINIT features and it's much faster. This release introduces an EFI boot stub that allows an x86 bzImage to be loaded and executed directly by EFI firmware. The bzImage appears to the firmware as an EFI application. Both BIOS and EFI boot loaders can still load and run the same bzImage, thereby allowing a single kernel image to work in any boot environment.